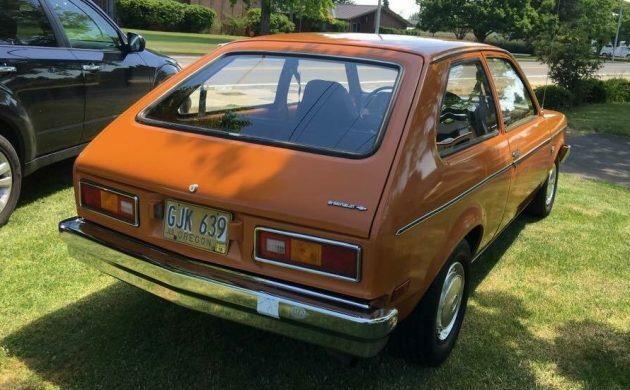 While doing the preliminary rundown of a car before I write, I noticed that this 1976 Chevrolet Chevette was causing my brain quite a stir and making me question my view on automobiles. To start, the $1,525 is actually a worthy bid price for a car that is 43 years old with 65,052 miles and is still driving. It is located in Salem, Oregon and has been a two owner, clean title, VIN listed car that you can view on eBay. 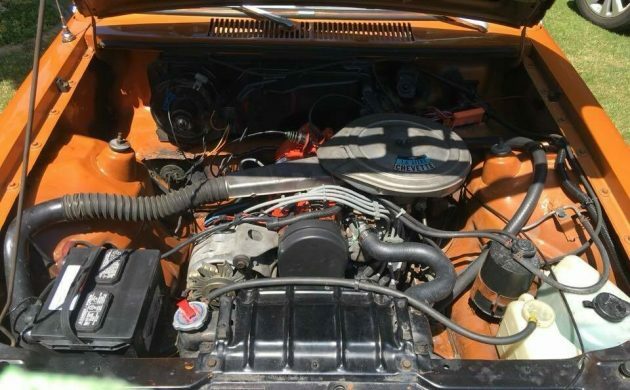 The original 4 cylinder engine and automatic transmission have been well maintained with plenty of documentation to show for it. 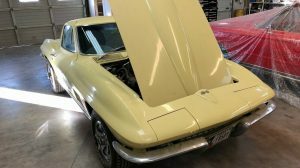 Things that have recently been replaced are the timing belt, radiator hose, alternator belt, water pump, spark plugs and wires, oil change with synthetic oil and filter, along with a coolant flush and valve cover gaskets. If all this is true, and the photos seem to suggest so, this car has a vibrant future ahead of it. Inside, an aftermarket stereo has been added. 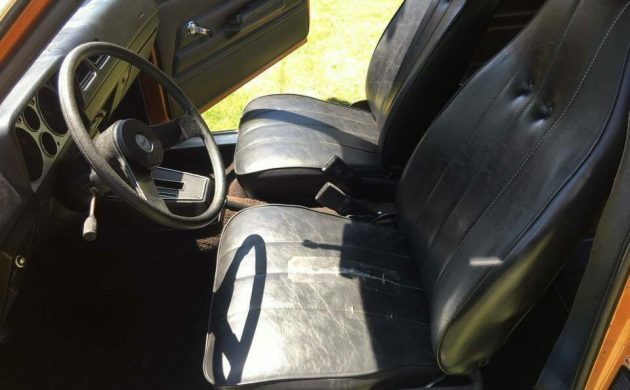 The seller does note that there are a few wear and tear items in the interior including a cracked dashboard and a rip on the driver seat. As you can see in the photos, it looks really well for its age. The more I looked at the car in general, the more it made me question what really makes a car popular or not? For one thing, it is almost the same size as the Subaru that it sits beside in one of the photos, totally busting the small car stereotype in my eyes. While it might not be as safe as the Subaru, it has at least 3 decades on it in reliability. It is not as visually appealing as many would like, as its color and proportions are a little odd, but it does turn heads. You would get attention driving it, to which some would say there is no bad press. If it is enjoyable to drive, functional, historic, practical, affordable, reliable, and in theory, safe, then what isn’t to like? I had a toy one just like this. I loved the toy. Later on, my grandma had a real Chevette and driving that was a letdown. That’s funny Chebby. I can relate, I had a 1/24 Yugo toy that I had a blast with. The real Yugos weren’t nearly as much fun. I gotta admit, I like the car and the color. 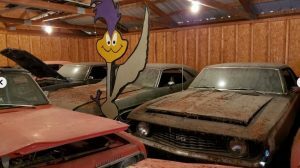 I believe it would stand out and bring back some good memories from many people at the local car show, and definitely turn some heads cruising down the road. Nice find. Way more interesting than cocoon kept mulletmobiles. The photo of this Chevette next to the Forester is deceiving. The Subaru is 21 inches longer, 8 inches wider, and nearly 15 inches taller. So did the Chevette 😉. Anyway, it had at least as much space as a Vega or Pinto in a smaller, lighter, better-handling package. They weren’t bad to drive with a stick shift, but an automatic took away most of the joy. I absolutely love it! I’ve sold a few back when they were just used cars. Kept one as a daily driver for about a year. Powerful? Heck no!!! Fun to drive though. If you are used to a sofa on four wheels you’ll be very dissatisfied but if you take it for just what it is, an economical for the time and relatively reliable car if taken care of. Darn near bought a brand new. Almost sorry I didn’t. 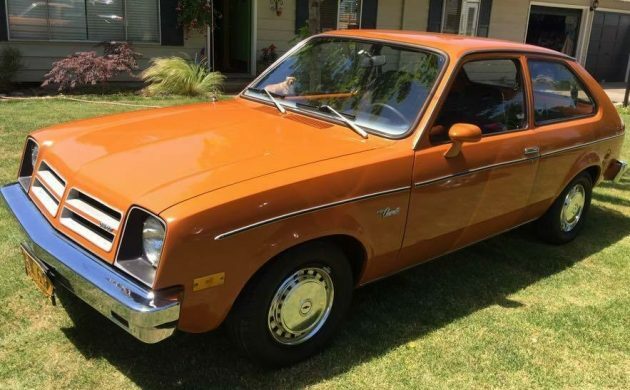 Great find, although the seller claims the Chevette was the 1st US car to get over 20 mpg. That’s simply not true. 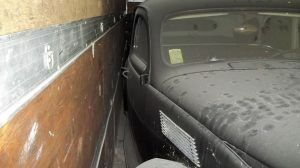 Nash Rambler and Studebaker got high 20’s in late 50’s. These were used and thrown away, yards were full of them. To actually see one like this is the rare part. Face it, it’s the Nash met of its time! Period styling and filling the same niche. It tells the story of its era. If I lived closer I and the bidding stayed low I would jump on it. I would put Historic plates on it and take it to a few shows.Bet you it would draw lots of people. I think they were right at 3000 dollars new in 1976. My 1976 Chevette Rallye 1.6 had a window sticker of $2730.46 with air. My ex-father-in-law had one with a 4 speed. He pulled it behind his motorhome. One day they were going up a long hill at about 50 mph and losing power. People were driving past them waving and trying to get his attention but he just flipped them the finger and kept going. He released the emergency brake on the Chevette but left it in low gear. He had been pulling it that way for several miles. By the time he actually looked to see what was wrong the engine was on fire. I bet it was just one chunk of metal at that point. I do not believe the mileage. As slow as these cars were with an automatic gearbox, there is no way it could have accumulated that many miles in only 40 some years. Actually, these little cars were pretty good vehicles for someone who is not in a hurry. We had 2. We got in a hurry. My wife traded hers for a Toyota Corolla. 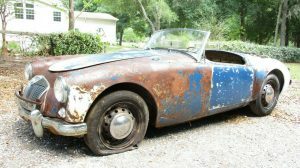 I traded mine for a VW Rabbit 2 dr. We both felt we had moved up to hot rods. It’s one of the only cars of the era whose impact bumpers don’t look like freeway barricades or park benches. And it was pooh-poohed at the time for being rear drive instead of up-to-the-minute FWD, but I’d say today that’s a point in its favor. Build quality was crummy, but these were really cheap cars after all. Had a bad experience as a pizza delivery driver with a Chevette that led to me abandoning all restraint and dignity and urinating in its radiator in the restaurant’s parking lot. One of the most immature and satisfying things I’ve ever done in my life. But this is a pretty cool and solid looking example. Too bad it’s not a manual. These were very slow with the auto. That is one cute car gotta love the west weather for preserving these classics. Dodge Dart Lite. Plymouth Feather Duster.